Alongside the passive solar renovation of our 100 year-old villa in Castlecliff, we also ‘renovated’ our section from a weed-infested food desert to a thriving food oasis. Starting with sand, couch grass, kikuyu, convolvulus, and pampas lily of the valley, the process of transformation has been slow, but steady. Now that we are mid-way through our third summer, the property has reached a level of lushness and productivity that gives a feeling of satisfaction – especially when tucking into a big bowl of fresh strawberries. We were able to achieve these results using much of the same thinking that has provided us with a power bill in the low double-digits. This ‘eco-thrifty thinking’ – similar in many ways to the concept of permaculture – aims for low input and high performance, based upon a solid foundational structure. For the villa, this meant significant investments in insulation, solar hot water, and additional glazing on the north side. For the gardens, this meant investments in wind protection, topsoil, and compost. All of these investments in sustainable infrastructure serve as prerequisites for long-term high-performance. For the villa, high-performance is measured by thermal comfort and low power bills. For the gardens, high-performance is measured in plentiful, healthy kai! All of these investments can also be measured by payback period – a concept highlighted over the last three weeks of this column. Without wind protection and a small amount of strategically-placed topsoil, I reckon growing fruit and vege one street behind Seafront Road would be a constant struggle. People in these parts say “sand eats compost.” By this, they mean that compost quickly decomposes and leaches through the porous sand, leaving little nutrition for heavy-feeding vegetable plants. A top dressing of topsoil, however, binds compost where it can be reached by plants’ roots. Topsoil is also better at retaining water than sand. Our annual vegetable gardens – about 40 square metres – are dressed with 70 – 80 mm of topsoil, for a total of about 3 cubic metres. This purchase from a from a local landscape supplier with free trailer hire cost a couple hundred dollars with a few scoops of compost mixed in. However, this upfront cost will pay for itself over years and years of increased vegetable yields, ie: high-performance. Improving the performance of the vegetable garden with topsoil is similar to improving the thermal performance of the house with insulation. Topsoil slows the leaching of nutrients out of a garden just as insulation slows the passage of heat through the walls of a home. In both cases, the results can be impressive. 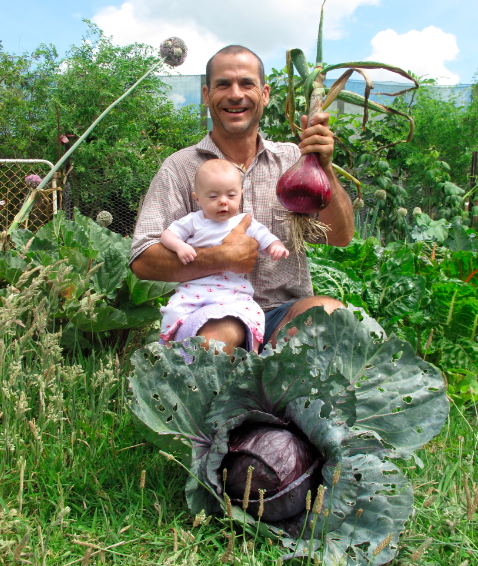 In the last two years, in our 70-80 mm of topsoil, using organic methods we have grown a 4 kilogram cauliflower, a 3 kilogram broccoli, a 3 kilogram purple cabbage, a 1.2 kilogram red onion, and over 500 gorgeous soft neck garlic. These, of course, are some of the highlights. We have also had some failures – our first year of potatoes was pathetic, and I have had trouble germinating basil and corgettes this year. On the other hand, we had ripe tomatoes before Christmas without a glass house. Over the last decade-plus, I have been studying low-input sustainable agriculture (LISA), and experimenting with different methods, tools, techniques and strategies. I think I may have learned a thing or two worthy of sharing with others. 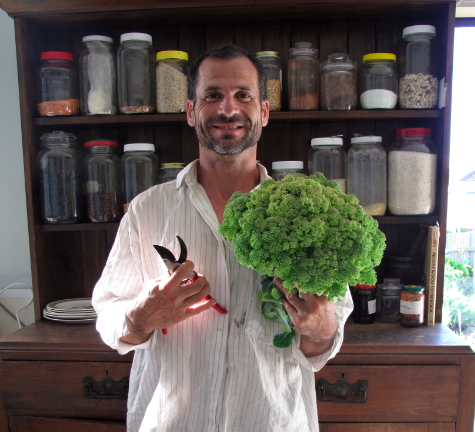 If you would like to learn about boosting the productivity of your vege garden without significant investments of money or effort, you may be interested in one of the upcoming ECO School events as listed in the sidebar. 19th January, 2:30 – 3:30 pm: Scratch to Patch Garden Tour. 20th January, 3-5 pm: Permaculture Explained. Permaculture may seem like a long and unfamiliar word. This workshop combines the Wikipedia definition of permaculture with a property tour, using tangible examples to explain the theory and practice of ecological design. Sliding scale $15 – $30. $5 discount if you walk or ride a bicycle. Pre-registration and Deposit Required. 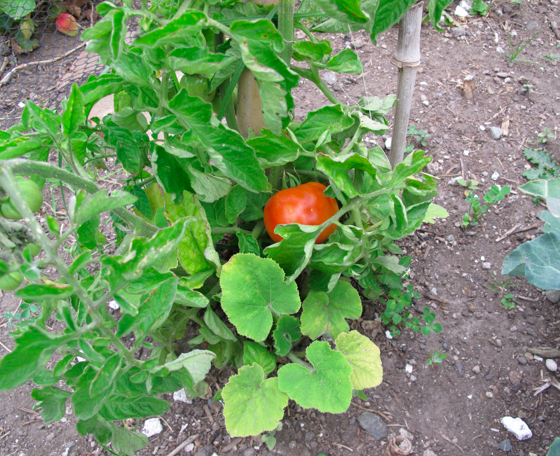 27th, January, 4 – 5:30 pm: Growing Great Garlic, Terrific Tomatoes, Brilliant Broccoli and Perfect Pumpkins. This presentation provides expert advice on maximizing food production using organic methods. Over the last two years in Whanganui we have grown: a 4 kilo cauliflower; a 3 kilo broccoli; ripe tomatoes before Christmas without a glass house; 100 kilos of pumpkins per year with almost no work; the best garlic on planet Earth. Sliding scale $10 – $20. $5 discount if you walk or ride a bicycle. Pre-registration and Deposit Required. Great photos! 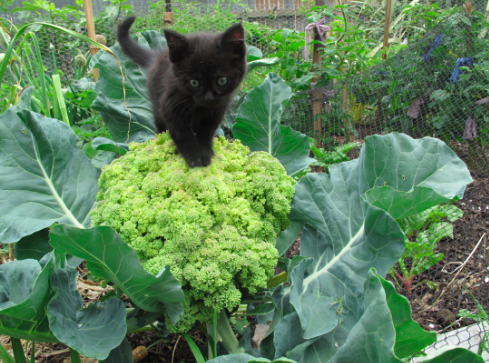 Is the kitten guarding your Brassica from white cabbage butterflies 🙂 That is one impressive onion! What variety is it and can the seeds be obtained here in Aotearoa? 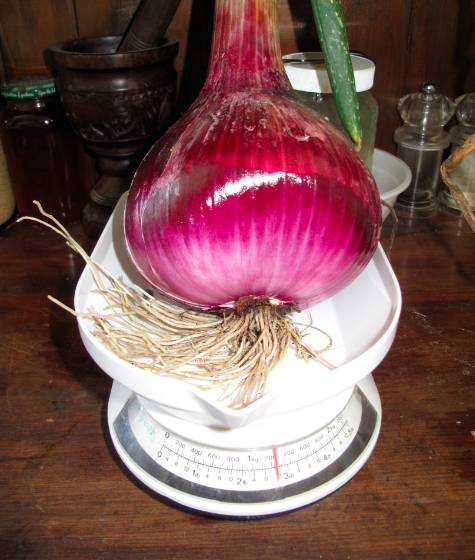 My onions were mostly small this year, the largest only 200 grams, a mere sixth of your red beauty. 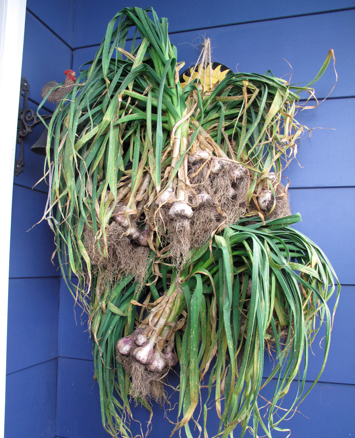 Had you thought about writing an e book on LISA – I would love to attend 'Growing Great Garlic, Terrific Tomatoes, Brilliant Broccoli and Perfect Pumpkins' but Wanganui is too far from here. Thanks for an inspiring post!